Madvapes has come up with an good looking new variable power advanced personal vaporizer (APV) based on the internal components of the recently released ZMAX. We reviewed the ZMAX in September and found it to be a great upgrade to the venerable VMAX and an overall fantastic device. The most notable feature of the ZMAX is its ability to deliver regulated power, which means that it provides the same amount of power no matter what resistance of atomizer or cartomizer is attached. The fact that most device settings are retained when batteries are changed was another big improvement over the VMAX. APVs are the hot rods of the electronic cigarette world and the new AcryliMax from Madvapes is a good example. Sometimes hot rods are built for power, other times for looks, and once in awhile there is a good combination of both. The AcryliMax is just such a device. It is built around one of the best APV engines on the market and wrapped in nice looking body that allows for some of personal expression. The AcryliMax is a little larger than the ZMAX in both width and length, measuring 5.2 inches long and 1 inch in diameter compared to the ZMAX at 4.9 inches long and .8 inches wide. The size belies the fact that the AcrylicMax is nearly 30% lighter than the ZMAX at only 3.6oz. with the battery installed. The LED display and functionality is identical to the ZMAX with the exception of a red LED versus the blue of the ZMAX. Like the ZMAX and VMAX before it, all settings are controlled with a single button, but on the AcryliMax a square button takes the place of the round. The button is the only minor complaint on this APV as it doesn’t have the tactile click that the ZMAX does. eGo users will also miss the recessed connector of the ZMAX, but the nearly flush mounted 510 connector on the AcryliMax provides for a very nice appearance in this case. Menu 4 is simply used to check the charge remaining on the battery. Menu 5 allows the user to choose whether battery charge, atomizer ohms or power setting is displayed when the button is pressed and menu 6 sets the bright red LED display to on or off. Unlike the VMAX, this function controls the light on the button as well as the LED display, allowing the device to be operated without any lights at all. Menu 7 is where the unit can be switched between voltage and power modes, making this a variable wattage device as well as a variable power device. Big deal, you say? Yes. Yes it is. Variable wattage means that the user can switch between atomizers and cartomizers of various resistance without worrying about where to set the voltage. And cartomizers sometimes change a little with heat and use, and variable wattage will keep the output steady regardless. A notable improvement over the VMAX that we tested earlier is that all of these menu options are now saved in memory even when the batteries are removed. The only exception is the voltage setting if the unit is set to variable voltage. It returns to a default 3.0 volts, presumably as a safety feature. The power setting when in variable power mode is saved, however, making the battery change a lot more convenient. The AcryliMax uses a single 18650 battery which is easily capable of providing a days worth of moderate use. It should be noted that some of the longer 68mm 18650 batteries on the market are too long for the AcryliMax, including the 2400mAh Trustfire that Madvapes lists as compatible with it. The end cap screws on smoothly and crates a perfect fit. Both the end cap and the body have vent holes for added safety. Since the body is made of acrylic, there is need for a ground wire to run from the end cap up through the body to the electronic components and atomizer connection. There is a slight indentation in the inside of the body provides protection for that wire. A threaded metal ring on the inside of the body transfers the power from the end cap to the ground wire. After a few days use, that ring on our test unit came loose from the body and resulted in a wobbly end cap. It was nothing a dab of Superglue wouldn’t correct, but this could be a major issue if the ring had pulled free of the ground wire. The AcryliMax provides an excellent variable voltage experience with one minor caveat. Like its predecessor, the VMAX, the AcryliMax does not give an accurate display of the output voltage. The voltage is consistent, but feels higher than what the device is actually set at. Setting the voltage at 3.7 volts, for instance, provides a much warmer vape than other devices at the same voltage. The fault apparently lies in the pulse width modulation circuitry that it uses to boost and regulate the voltage. The experience is similar in power mode, as well. When it’s set at 8 watts, the vape feels more like 9 watts or so. It’s not a deal-breaker, but we do wish that it could have been corrected by this point. Besides that, this is one excellent APV that provides a very enjoyable vaping experience. The AcryliMax is a great addition to the aesthetic options available for the ZMAX line. 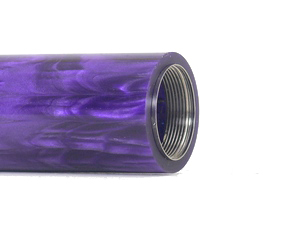 Purple isn’t exactly my favorite color, but I can easily see how a colorful tube will be attractive to a lot of people. The weight of the unit is attractive to me and will likely make this the pocket APV of choice for me. Price is another factor that we haven’t covered here yet. At only $79.99 and $40 cheaper than the ZMAX, the AcryliMax is a relatively inexpensive APV. Consider its solid internals and variable power capability, it can probably be considered a bargain. 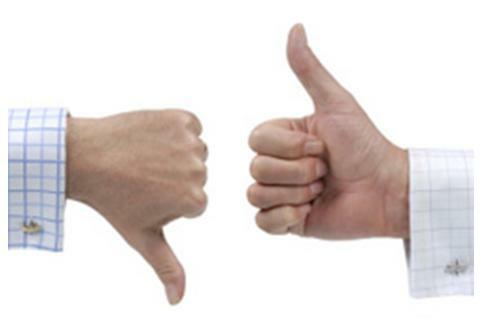 Note: The AcryliMax used in this review was purchased from Madvapes.